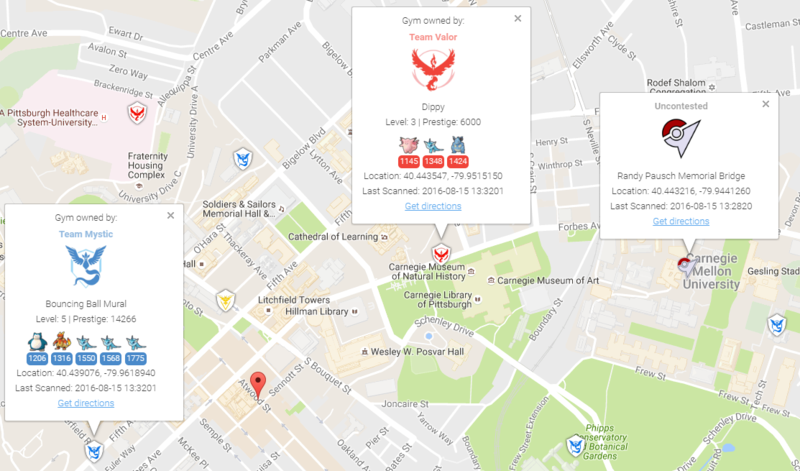 To collect all of the available information about gyms, you can enable gym info parsing. Gym info parsing adds the gym’s name and a list of all the Pokemon currently in the gym to the GUI. However, this comes at a slight cost: An extra API call is made for each gym to be updated, which slows the overall scan speed. Gym information is parsed intelligently, and only updates if something about the gym has changed since it was last updated. Because of the increased data being sent to the database, it is recommended to use MySQL when using this feature. As gym details are refreshed, the correct characters will appear (to force this, you can empty gymdetails). More information regarding MySQL encoding is available here.